The autumn weather may be a bit harsh on your skin, however autumn foods are filled with active ingredients that will make your skin glow. These foods will heal and protect your skin from the inside out. Take a trip to an orchard and fill up on this delicious fruit packed with Vitamin C. Apples actually help prevent wrinkles, as well as to tone and firm the skin. They also help to produce collagen, allow the body to generate melanin to protect against UV rays, reduce the risk of skin cancer, and prevent old wounds from reopening. Food Tip: Throw some diced apples into greek yogurt and steel oats for breakfast and start your skin off the right way each day. One of the greatest benefits of beets is that it is a natural way to reduce brown spots, also known as age spots. The anthocyanins found in beetroot are attributed to the many skin advantages beets provide. Beets will also reduce the signs of freckles, acne, and inflammation. They also help to minimize dry skin. Food Tip: If you are not a fan of beets, try roasting them for a sweeter finish and serve alongside some fresh goat cheese on a bed of greens. 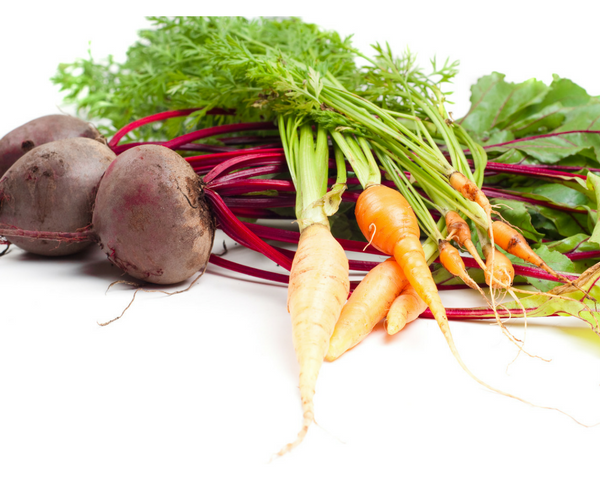 The vitamin A and beta-carotene in carrots provide outstanding skin benefits. The beta-carotene acts as a natural sunscreen to protect against the sun and skin cancer. Carrots can prevent severe cases of hand eczema. Vitamin A has been linked to reducing tumors. And, they also help to heal skin lesions. Food Tip: Make a smoothie with carrots,bananas, and yogurt. It is surprisingly sweet and incredibly healthy. These magical legumes are the quintessential anti-aging food. Chickpeas slow down the signs of aging including to reduce wrinkles and fine lines, as well as providing your skin with a stunning glow. You will also notice that your skin will become tighter. Food Tip: Add chickpeas to soups or salads and toast them to snack on throughout the day as an easy way to help your skin throughout the day. Pumpkins are not just for jack o’lanterns. When you eat pumpkin, good things happen to your skin. They can increase your collagen, fight against free radical cells associated with cancer, improve your tone, and prevent additional wrinkles. It is also an anti-inflammatory, reduces acnes, improves cell renewal, and helps to eliminate toxins. Similar benefits can be found in squash. Food Tip: Be sure to eat the pumpkin seeds, as well, as they also provide great skin benefits. These root vegetables are condensed with Vitamin C which helps improve collagen and reduces wrinkles. When you eat sweet potatoes, your skin will also appear brighter and generate a natural glow. They will also work to prevent acne because of their high levels of antioxidants. Food Tip: Make oven-baked sweet potato fries to have with your burger or steak rather than traditional french fries, and be sure to leave the skin on for even more nutrients. It is easy to get creative with autumn dishes including mind-blowing and incredibly satisfying soups. Stick with seasonal foods as much as possible and your skin and body will thank you! Do you find it difficult to create ways to eat more seasonal foods?